Jurassic Quest includes dino craft stations filled with all the supplies needed to color and create a paper dinosaur. Travelers can also blend in with the prehistoric creatures, getting their face painted and climbing aboard an animatronic dinosaur for a ride. 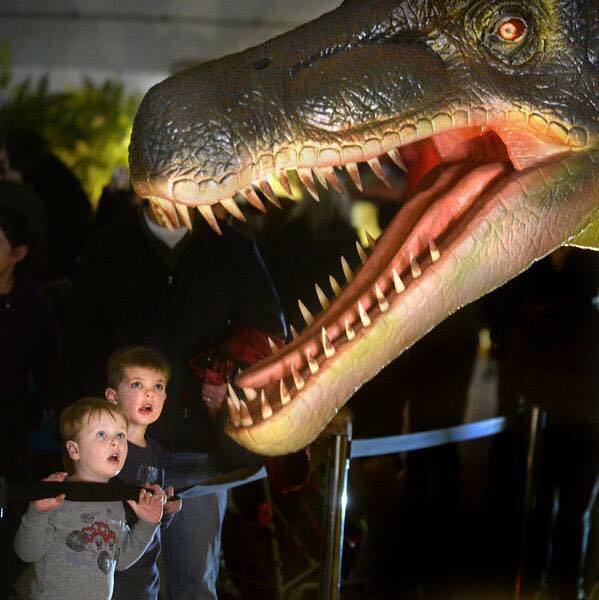 Life-like baby Triceratops and Camarasaurus puppets, a walking adolescent T-Rex and Spinosaurus, will meet and greet visitors. Bungee pulls and bounce houses add extra fun. A destination unlike any other, Mansfield is home to a wealth of unusual travel adventures and experiences, such as visiting the working farm where Humphrey Bogart and Lauren Bacall were married to spending the night in a haunted former state prison where Hollywood blockbuster movies are filmed. Little Buckeye Children’s Museum, Richland Carrousel Park, breathtaking scenery, rural and hometown experiences, as well as hiking, biking, horse-riding, cross-country and downhill skiing, bird watching and loads of other outdoor adventures attract travelers of all ages. Complete visitor information is available at www.MansfieldTourism.com or (800) 642-8282. (M) 614.296.8513, (O) 614.848.8380 or amy@WeirickCommunications.com.